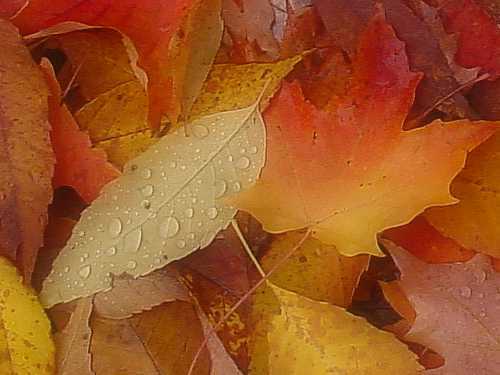 Fall is a great time to take heed to the old proverb “turn over a new leaf” but what about that tired soil in your garden? Remember, your soil worked hard producing this season’s crops. Is it ready for next spring’s plantings? For any of my garden friends that thought they were ready to pack up the garden tools, if you haven’t turned over your soil in the veggie garden, set aside an afternoon to tackle this task. This year’s garden plot should look clean as a whistle before we head into the winter. Here are a few quick tips to get that soil prepped for next season’s crops. 1) Take out all the dead plants and weeds from this year’s crop and dispose accordingly i.e., don’t compost but burn or put in a trash bag. 2) Apply lime accordingly. Pick up a home pH soil test kit at local garden centers and review your results. Test kits are self-explanatory and give a recommended rate of how many pounds of lime to apply per thousand sq. feet. 3) Top-dress the garden with 3” of shredded leaves, manure and grass clippings (only use non-chemical lawn grass clippings) to replenish the soil from a season of hard work. 4) Now for a little muscle. Forgo the gym and till or loosen your soil. I recommend using a spading fork or a broad fork to turn over your garden plot. You can also use a Rototiller to break up some of the large clods but don’t whip it into a frappe. Go lightly with this tool. You do not want to damage the soil structure. The biggest don’t in this task is don’t turn over wet or muddy soil. 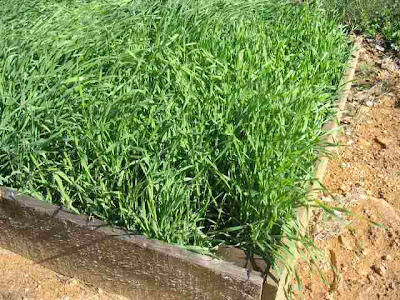 5) If you have a sizeable garden, seeding it with a winter cover crop (winter rye-photo below) is recommended to stabilize the soil and provide a layer of green manure (quickly composted vegetation). This last step also adds supplementary organic matter that must be tilled into the soil next spring. The biggest don’t of this tip is don’t let the rye go to seed. The moral of turning over a new leaf is that if you do it smart, your hard work can produce great results. So I end with another proverb to help out in the procrastination department. “If and When were planted, and Nothing grew.” There is no way out of it. Hard work is involved in having a bountiful veggie garden. So if and when you get around to it, make sure you get your soil turned over.